Discover what Luxury Homes are for sale in Upcountry Maui. 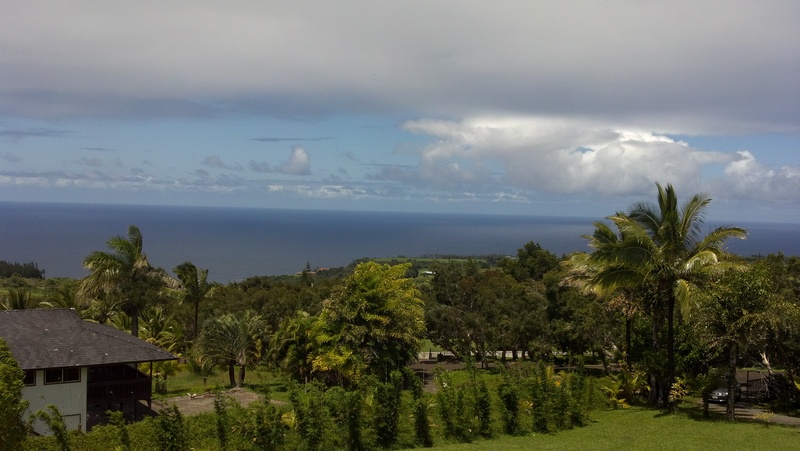 Find out about exceptional communities and real estate in upcountry Maui. Consult the lifestyle and real estate map search below to find the property nearest your favorite activities and passions. Contact Howard Dinits the upscale real estate professional for more information and personal service. One of the largest districts in Maui, Upcountry comprises Makawao, Olinda, Pukalani, Kula and Ulupalakua. Upcountry Luxury Homes possess many attractive features that are important to many upscale home buyers. Elevations for this beautiful area on the slopes of Haleakala range from 1000 feet to 3000 feet providing a cool and comfortable climate. Incredible island views, ocean views and panoramic views of the isthmus, valley, between Haleakala and West Maui Mountains are found only in some residences in this district. Larger lots and acreage provide the space and low population density for sprawling estates with privacy and solitude. 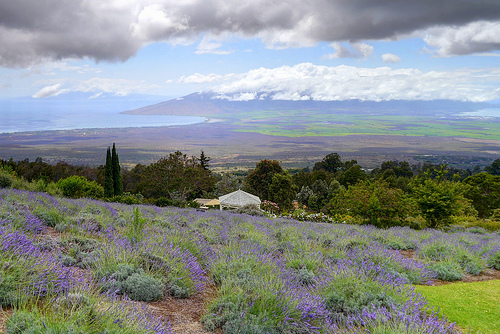 The open space, elevation, fertile soil, and moisture laden clouds in upcountry Maui provide the ideal conditions for spectacular vegetable gardens or flower gardens to thrive. Each area in Upcountry Maui has its own unique microclimate and lifestyle. Makawao, which means the edge of the forest in Hawaiian, borders rainforest which brings occasional rain. The Makawao and Olinda area is the epicenter for Paniolo, Hawaiian Cowboy, culture with ranch land surrounding town. Here you can find modest homes or estates on large lots or acreage and properties geared to an equestrian lifestyle. Makawao town has old west style buildings housing art galleries, upscale boutiques, and a selection of restaurants. Makawao is also home to prestigious Seabury Hall a college preparatory school serving middle and high school students. Pukalani means hole in heaven in Hawaiian, and earns its name from the clouds that form above and below the town, leaving Pukalani a usually sunny spot. If you like to golf or want to live on golf course, Pukalani has the only upcountry course at the Pukalani Country Club Golf Course. Communities like Pukalani Fairway Estates and Liholani Golf Villas offer fine condominiums on the greens. Kulumalu Hilltop is an exclusive gated community with only 12 luxury house lots. It is located above Kamehameha School and is walking distance to the Kulamanu Town Center. Kula in Hawaiian means open meadow, pasture and this accurately describes this area. Most homes are in the 1,800 to 3700 feet elevation. Kula is where you will find spectacular botanical gardens, flower and vegetable farms because of the rich soil and ideal growing conditions. Kula Meadows is where you can find trophy estates with high volume homes on large acreage. Kula has magnificent luxury Maui homes offering solitude, exceptional quality of life and spectacular scenery. Live here and relax in the warmth of a crackling fireplace, sipping a very fine vintage wine with floor to ceiling windows bathing the room in sunset color and views. Some Kula homes are custom, architectural masterpieces with bi-coastal ocean views and not a neighbor in sight. Some estates are green, completely off the grid with solar power photo voltaic power and water supplied by catchment or private wells. Kula unique climate forms clouds as the day progresses for filtered sun, and then disappear in the afternoon winds. Not far from Kula you can drive to Ulupalakua where Hawaii’s only winery Tedeschi Vineyard and Maui Winery is located. It is located on 2,000 acre Ulupalakua Ranch that now raises cattle but used to grow sugar cane and host Hawaiian Royalty. Now the guest cottage that used by the Merrie Monarch, King David Kalakaua to visit is now the tasting room for the Winery. Ulupalakua Ranch Store has a deli featuring deli sandwiches using meats from meats produced on the farm. Find out about upcountry maui luxury homes and condos. Get details on exclusive communities and real estate in Kula, Olinda, or Makawao. Use the unique lifestyle and real estate map search on this web page. Contact luxury real estate expert, Howard Dinits, for more information.